When will be Hazel next episode air date? Is Hazel renewed or cancelled? Where to countdown Hazel air dates? Is Hazel worth watching? 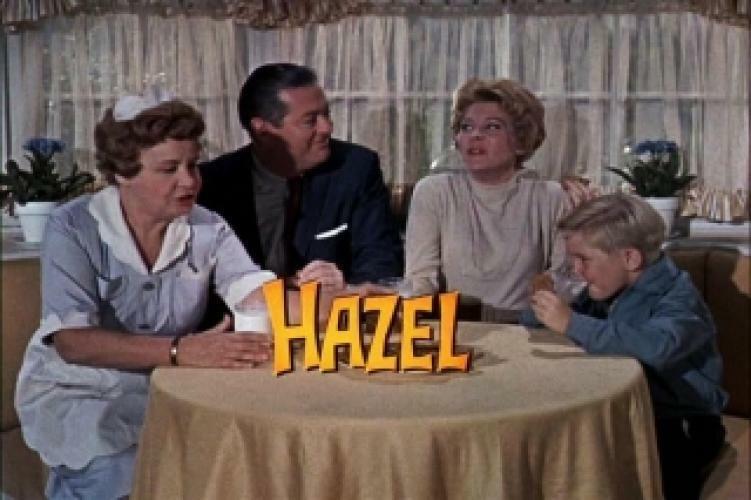 Hazel is a 1960s Screen Gems sitcom based on a single panel comic strip created in 1943 by Ted Key for the popular weekly magazine The Saturday Evening Post. Like her comic strip counterpart, the TV Hazel is a live-in maid in the home of George Baxter, a corporate lawyer, and his wife Dorothy, an interior decorator. The Baxters have a school-age son named Harold and a dog called Smiley. The series follows Hazel's life in the Baxter home, the neighborhood, and in the community. After its NBC run, CBS picked the show up for one season with almost an entirely new cast. George and Dorothy Baxter were transferred overseas in conjuction with Mr. Baxter's work while Hazel and Harold moved into the home of George's brother Steve, his wife Barbara and their daughter Suzie. The show's first season was filmed in black and white with the remaining seasons filmed in color. The show was an instant hit and its first season was fourth in the 1961-1962 Nielsen's ratings. Actress Shirley Booth won two Emmys as Hazel. EpisoDate.com is your TV show guide to Countdown Hazel Episode Air Dates and to stay in touch with Hazel next episode Air Date and your others favorite TV Shows. Add the shows you like to a "Watchlist" and let the site take it from there.